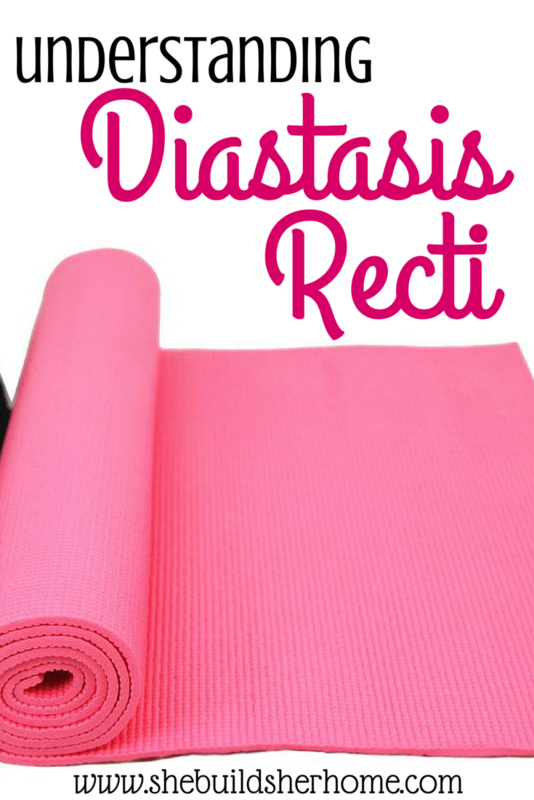 Have you ever heard of Diastasis Recti? If not, you are not alone. Basically, it is separation of the abdominal muscles, often caused by pregnancy (but other things can cause it as well). It is not harmful, and in my case not painful, but it makes your abdomen protrude out, looking as if you are a few months pregnant. I read that 30-40% of mothers have a diastasis, but most are unaware. It is unfortunate that the condition isn't talked about more, because it is such a common thing and many people are making their separation larger, simply by not knowing. You can read more about diastasis recti here and here. If you haven't already done so, you'll want to check yourself for a diastasis. It's very simple. Watch this video to see how. The most frustrating thing for me about all of this, is that so many websites and videos are giving conflicting information on what exactly it is, and what exercises are and aren't ok to do with it. My best understanding is that anything above 2 finger widths is a diastasis. Mine is about 2 1/2 finger widths and when I sit up you can see the ridge poke out down my belly. When I first found out I had this, I searched and searched for a solution. Everything I read said avoid any type of sit up or crunch. Some things said planks are great, other things said avoid them. I've since come to the conclusion that planks, crunches, and most pilates and yoga moves are NOT good for a diastasis. See, these types of moves push your abs OUT and can actually make the separation wider. Several people have asked what exercises I HAVE been doing, so I wanted to share that. I do them about every other day or so (when I remember), to give my abdominal muscles time to repair in between working them. I really liked this video, because her explanations are really clear. She explains that you need to pull your abs IN when you do the exercises. I wanted to also mention that some of the things I read say that you should stop all other exercise while treating a diastasis. Perhaps this is true if you have a really bad one, but I have continued exercising. Most of what I read said it is ok to keep exercising. You just need to be mindful of WHAT exercises you are doing. I recently read and realized that burpees are bad for a diastasis (because you are getting up and down and really engaging and pushing your abs OUT to do so), so I stopped doing them. Just think about what you are doing and HOW that move is working your abs to decide if you should stop it or not. I am definitely not an expert in this area, but hopefully this will help anyone who is confused on what to do like I was. I wish there was solid information out there that made it really clear, but unfortunately there is not. I'm happy to answer any questions if you have them. I have a few years of experience in this area! I saw results instantaneously when I started the exercises. Within a week or less I had noticeable difference in my stomach, so it's definitely worth it to change your ab routine if you've got separation!